Author: Eubanks, W. Ralph Set In . . . In June of 1957, Governor James Coleman stepped before the cameras of "Meet the Press" and was asked whether the public schools would ever be integrated. "Well, ever is a long time," he replied, "[but] I would say that a baby born in Mississippi today will never live long enough to see an integrated school." 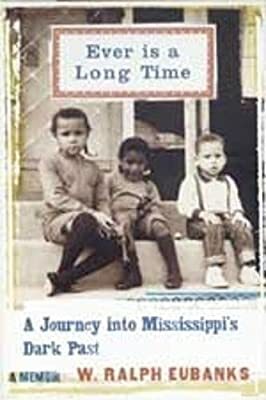 In this extraordinary pilgrimage, Library of Congress Publishing Director W. Ralph Eubanks recaptures the feel of growing up during this tumultuous era, deep in rural Mississippi. Vividly re-creating a time and place where even small steps across the Jim Crow line became a matter of life and death, he offers eloquent testimony to a family's grace against all odds. Inspired by the 1998 declassification of files kept by the State Sovereignty Commission-an agency specifically created to maintain white supremacy-the result is a journey of discovery that leads Eubanks not only to surprising conclusions about his own family, but also to harrowing encounters with those involved in some of the era's darkest activities.